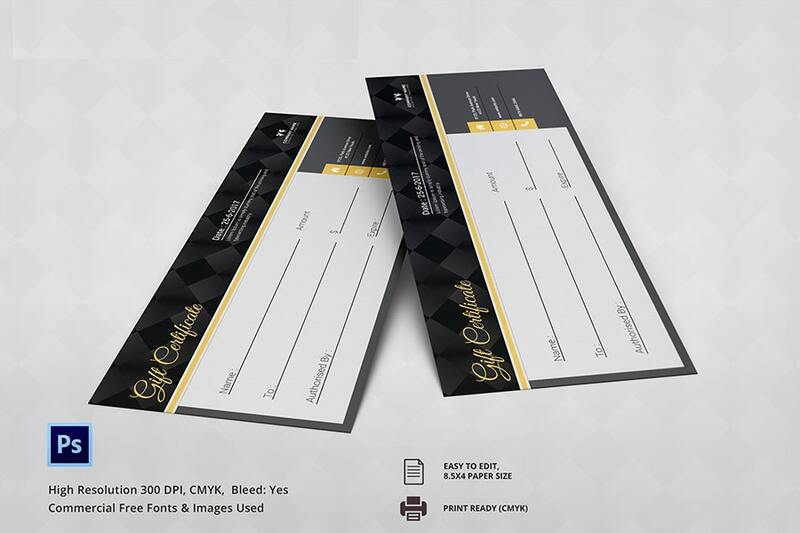 Printable gift sample certificate templates are ideal for businesses who want to award their customers with gift certificates. 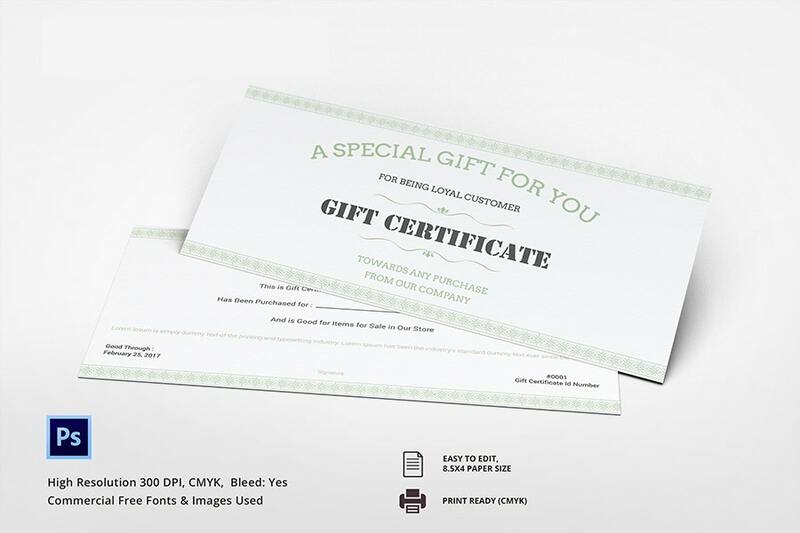 The blank gift certificates are 100% editable and you can download and customize them as per your needs. 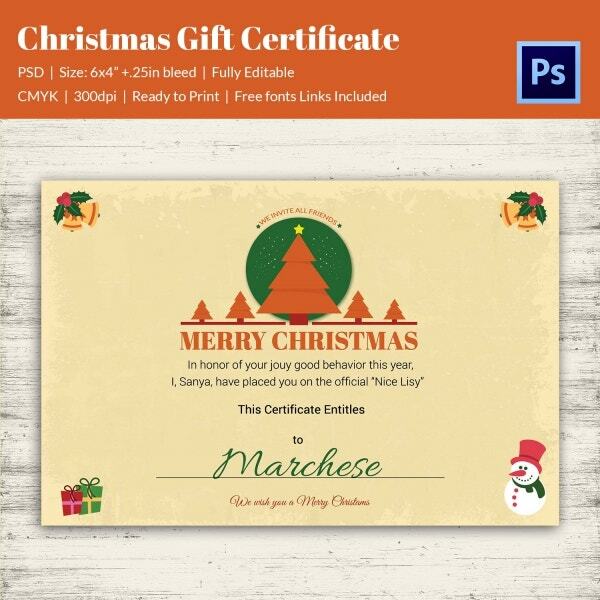 These Gift certificates come in various design, styles, and color; you will surely like one of the many designs.You can edit the printable Certificate Templates with a word processor or use any online editor to customize them as per your needs. This Christmas gift certificate has a common touch and is ideal for any social campaign run for the humanitarian purposes. This gift certificate is available in PDF format. It has an excellent design and attractive graphics, and you can mention any denomination on the gift certificate. This printable birthday gift certificate can be given to your loved ones instead of handing over the cash. The template has blank fields for the recipient’s name, the name of the gift giver, the amount, and the date. > Why are Gift Certificates Used? Gift certificates are handy when you want to give your customer or the employees the freedom to choose their gifts. 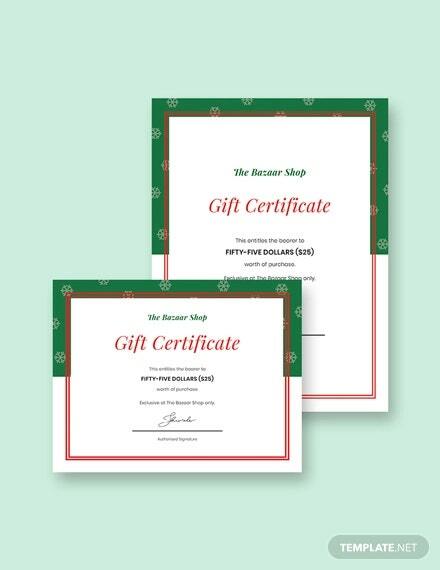 These gift certificates have a certain denomination, and the recipient has the freedom to make purchases using the gift certificate. These printable gift certificates can be excellent promotional gifts for any company. 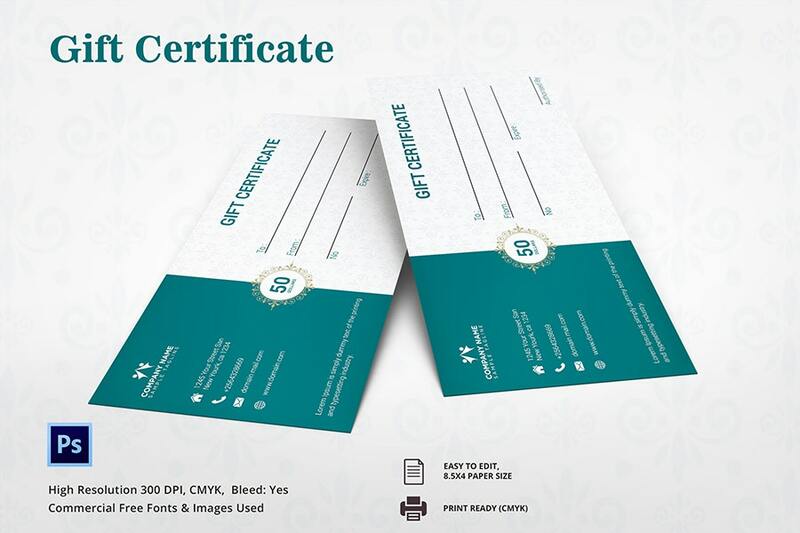 All you need to do is download the printable Gift Certificate Template, mention the gift amount, the service you want to advertise and place the logo of your company on the gift certificate. Unlike currencies, the recipient need not worry after losing a gift certificate as it contains the name of the recipient and it is unlikely the person who found it will be able to use it. 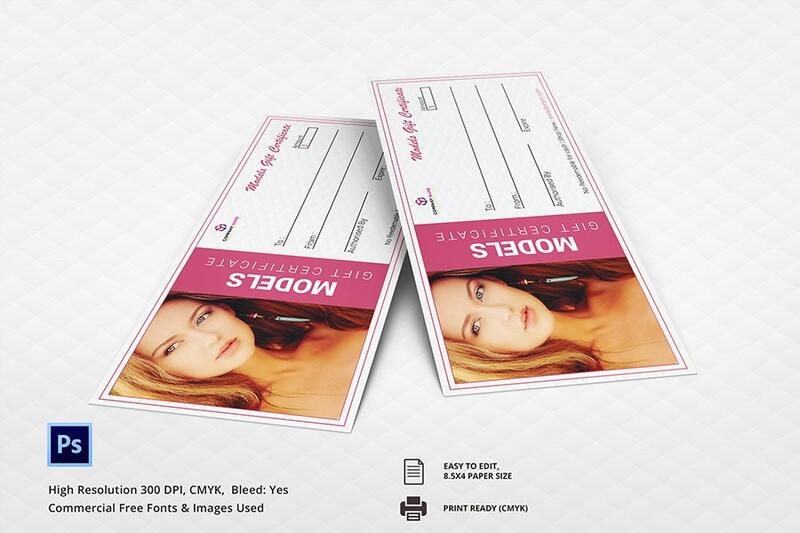 This model gift certificate template is ideal to promote the business. You can present this gift certificate to your loved ones or any person whom you want to pamper. It is available in PDF format and has an attractive design. The printable photography gift certificate is ideal for presenting images as gifts. 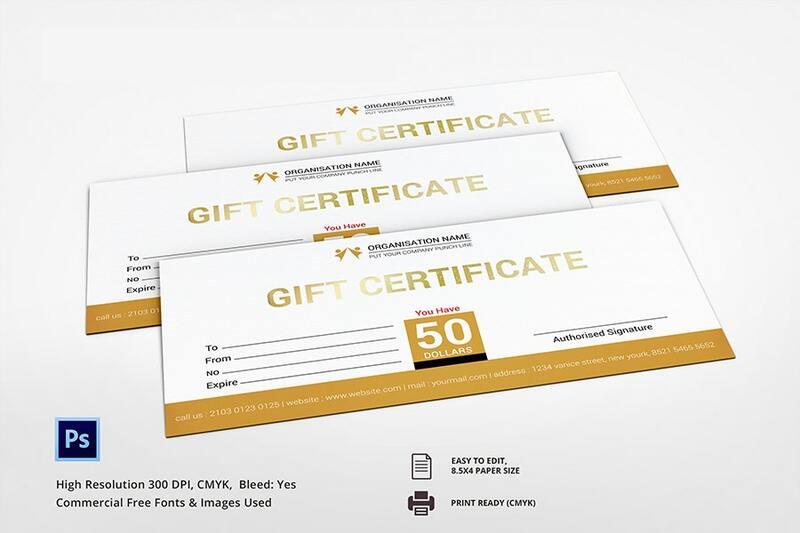 You can mention the image number and size of the gift certificate, and the recipient can go to the photo studio and collect the desired image. > What does a Gift Certificate Contain? 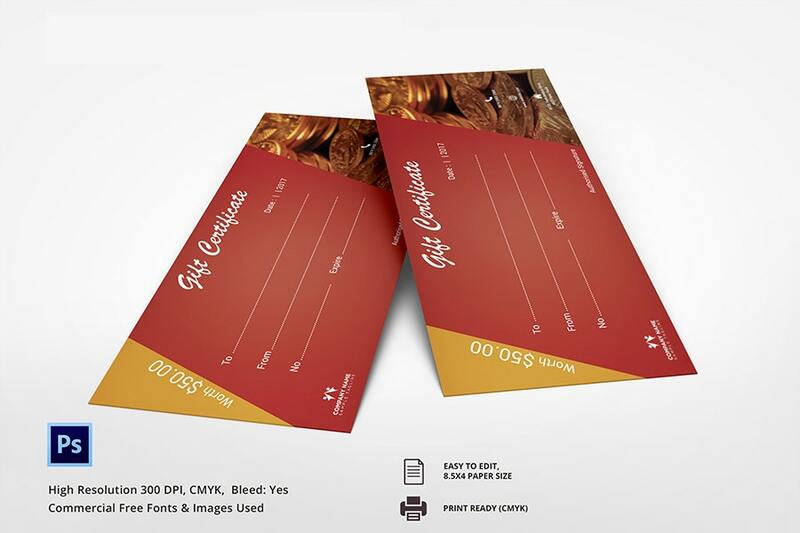 A printable gift certificate can have many fields depending on the company which is offering it. 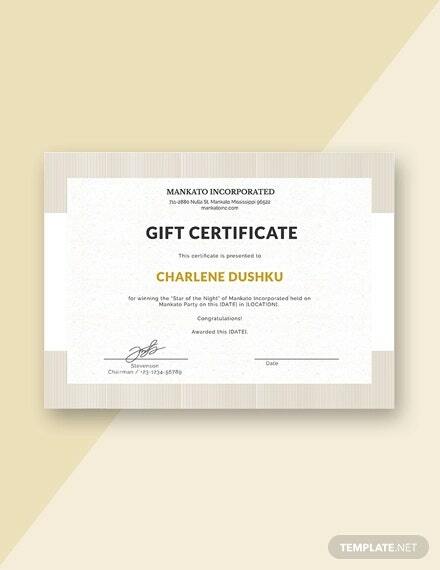 In general, a gift certificate contains placeholders for entering the recipient’s name, description, the value of the gift certificate, the expiry date and the name and address of the organization issuing it. A gift certificate can also be used as a pass to events that are used for validating entry of the invitees. In such cases, the gift certificate may also have RFID code that can be scanned at the entrance gate of the event. 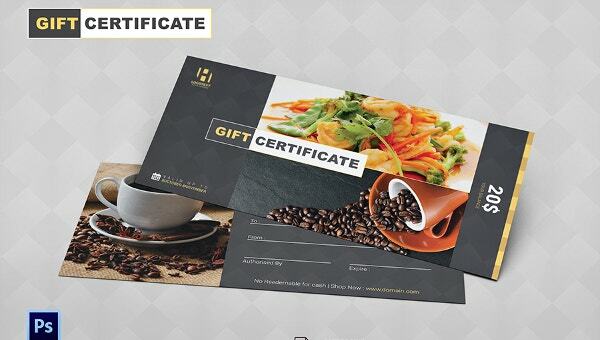 Some businesses use Gift Certificates Templates in the form of restaurant vouchers which can be used at selected restaurants to pay the bills. 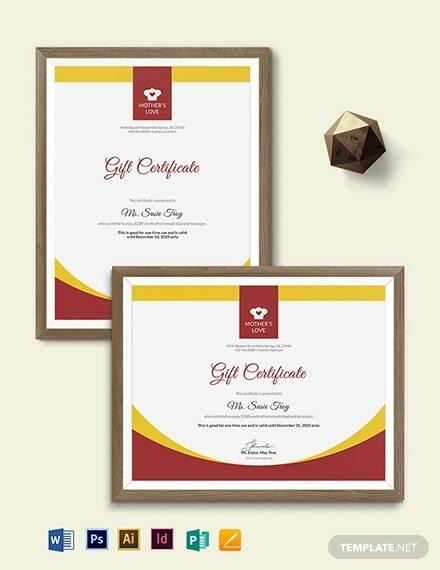 > What are Advantages of Printable Gift Certificates? The printable gift certificates are popular as they help businesses in increasing their customer base and encourage loyalty for the brand. The Gift certificates are great for customer retention as the customer feels rewarded for doing business with your company. 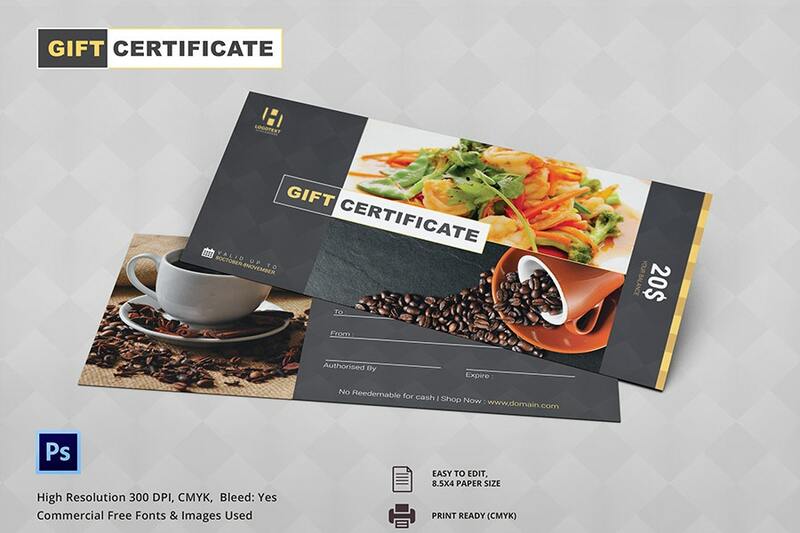 These certificates also help in increasing the revenue as the majority of the customers who receive gift certificate spend more than the value of the gift certificates. The Gift Certificates also increase the visibility and popularity of your brand as it has your company’s logo and message printed on it. Whenever the recipient looks at the gift certificate, he/she recalls your brand. The Gift Certificates are great tools to encourage repeat purchases as the recipient will make a purchase before the due date to take benefit of the gift certificate. 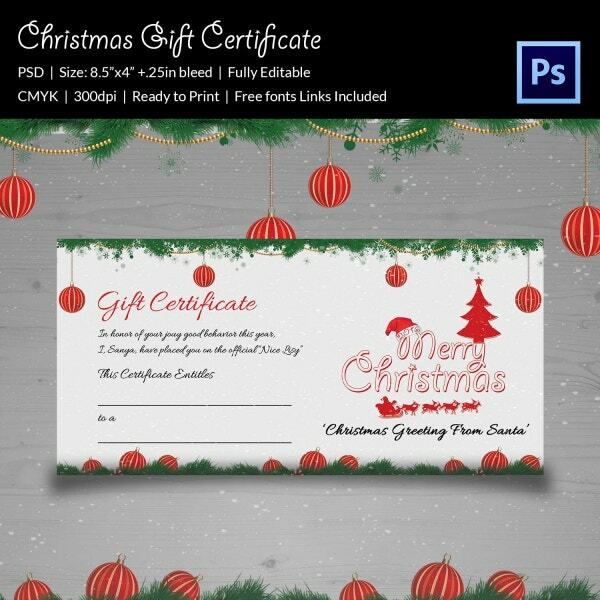 The printable Gift Certificate Templates take away the pain involved in creating a gift certificate. These templates are available in PDF format, and you can take printouts and mention the denomination and the recipient’s name. They are available in various design, colors and attractive styles that make them suitable promotional materials.